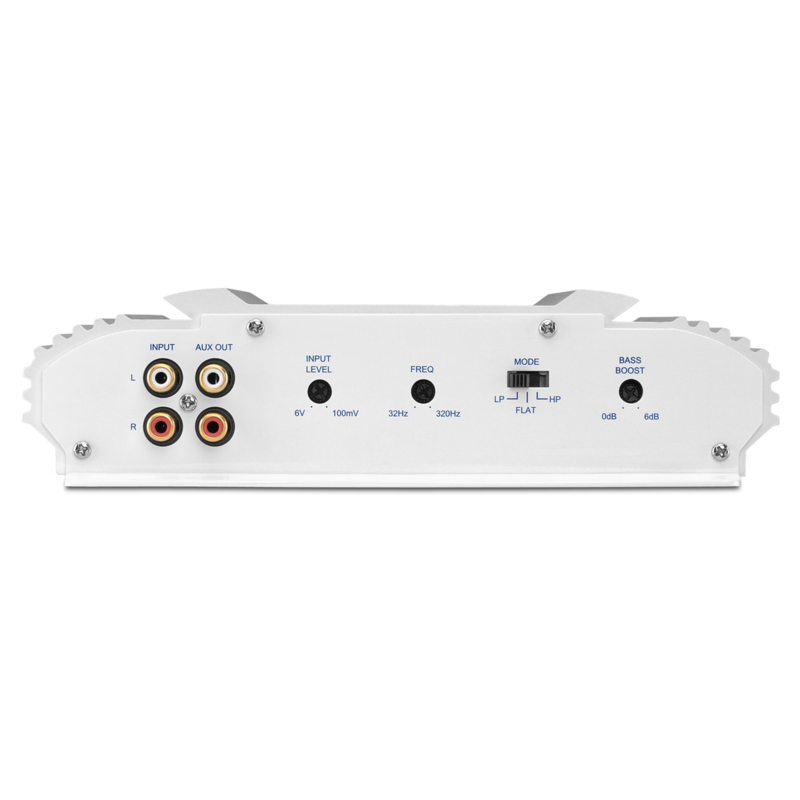 The MA6002 comes equipped with a 12dB Per Octive Electronic Crossover. 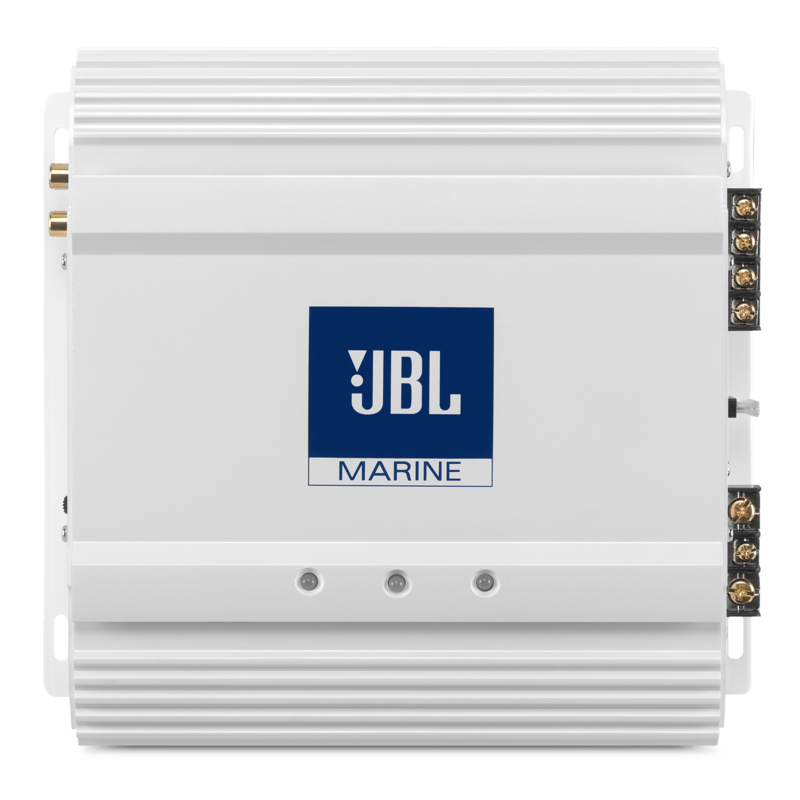 This provides a high level of tunablity and allows for different speakers and can be selected as either a high-pass or low-pass. You may have your choice of where to install it or you may not. A variable bass-boost circuit provides additional bass tuning to optimize performance, regardless of where it lives. Owning a boat takes commitment and work. Installing the JBL® MA 6002? Not so much. It’s also pretty compact at 9 by 10-1/4 by 2-3/16 inches with a low profile heat sink. You can put it in the tightest of spots. The JBL® MA6002 has output of 145 watts RMS and peak power handling of 160 watts. You can fill the fresh, open air with great sound. The MA6002 is also equipped with a variable bass boost circuit. There is a total of 6dB of boost available centered at 45Hz.